Our iPad2 Review: Another Gamechanger? 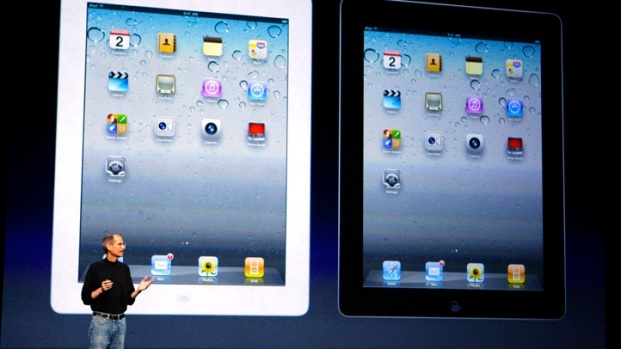 By now, you've probably seen the about-to-be-released iPad2 from Apple. You're right, it looks good. Having had a chance to get my hands on it, I can tell you that -- no surprise -- it feels good, too. The fact that it works so well, though, is why you're going to want to get it. Looks alone, after all, should not be a reason to upgrade if you are one of the 15 million or so who threw down somewhere between $500 to $800 over the last nine months for an original iPad. As I see it, if you're super happy with your purchase, you don't absolutely need to upgrade. The iPad 1 is still a great device. It's the game-changer when it comes to tablet -- or, as Steve Jobs calls it, "post-PC computing." That said, the iPad2, as my dad always says, improves on the previous generation. It's faster (by a bit), thinner (also by a bit - but somehow, you'll notice it a lot), and comes with two cameras for those of you who like to use Face Time. The 10-inch screen is perfect for this -- or Skype, for that matter -- and adds to why we love the original screen size in the first place. As for apps, you can still get pretty much everything on the original. But you can shoot video on the iPad2, and for about five bucks, you can edit it with iMovie. Also, GarageBand is awesome on the iPad2, as well as you could make music on the original, the "2" gives you a solid improvement. Perhaps the biggest thing that will make you want to snag the new version is the price. It's the SAME as the original. Yes, we've already started to see iPad originals online for cheaper, but an upgrade this noticeable usually comes with a price premium. This one doesn't. That sound you hear is the breaking hearts of tablet competitors like Motorola and Samsung. In summary, as good as the iPad was -- and is -- the iPad2 is better. Enough to make you lust after it, even if you already have one. If you're in that group, I don't envy you, or your wallet. If you've held out this long, you'll be well rewarded with the second coming. It's not the gamechanger that the original version was - that's already been done. But the original has been improved upon, and that's worth the upgrade.